Father's Day is only a few weeks away, so it's time to start planning how you're going to commemorate it with the main man in your life. Showing your dad you care needn't be tricky, since there are so many ways to help him celebrate come June 21st. With a gift that you know he will love, you can make him feel really special, and score some serious son or daughter points! A classic gift that is sure to make him smile is a photo. Have a look through the times you've spent together over the past year, and see if you took any pictures that you can print off for him. You can step this up a gear by creating a collage of your happiest moments together from over the years, tracking you from baby to adult with him at your side! If you want to do more than just a framed photo, look into any other options for your snap, such as getting it on a mouse mat or onto a mug. Something like this can go with him to work, and is sure to bring a grin to his face whenever he looks at it. 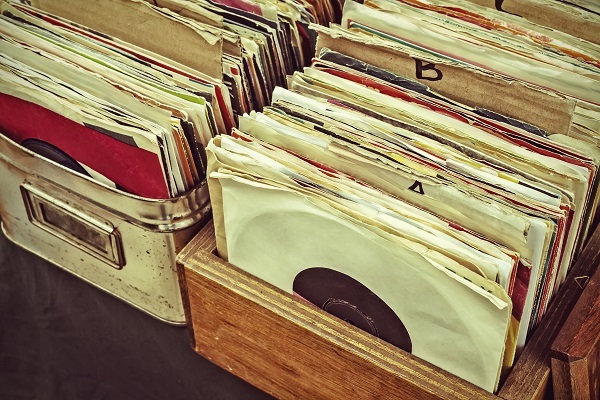 If your old man is a huge music lover, chances are he will love owning one of his favourite songs on vinyl. Even if he's got nothing to play vinyl on, it might encourage him to buy the turntable he's been talking about for years! Alternatively, if you really want to splash out, you can buy him one yourself along with his first vinyl. Look out for limited edition ones to make it a really unique and special gift, and if he's got a favourite song or band then keep an eye out for those. If you've found some vintage vinyls that no longer have their original covers, you could create your own to make it really personal. All you need is some cardboard and a few pens or pictures to decorate it. Sticking with the music theme, you could create him the modern-day equivalent of a mix tape with a bunch of songs you think he will love! Just buy a blank CD (and a case to keep it safe) and load it up with any songs you would recommend to him, and pop it in his car for the next time he's got a long journey. Another option is creating a new playlist in his iTunes, so he can keep your music choices with him on the go. Chances are you will help him discover his new favourite sound, and he'll be back asking for more suggestions! For the man who exudes class and style, what better gift than a matching tie and pocket square? This is a great pair of accessories to take a suit to the next level and make him look really dapper. Whether you pick a really dynamic pattern or something super simple, there is a set to match him perfectly. 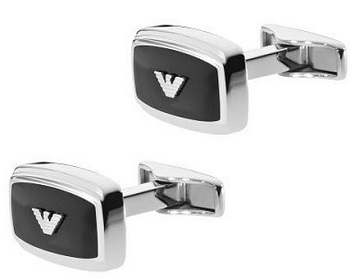 If he prefers a more subtle kind of sophistication, you can't go far wrong with a stylish pair of cufflinks. There are so many designs to choose from, so you can find something that he will get a lot of use from. These sleek Armani cufflinks have a very understated colour scheme - one that will match a huge variety of outfits - while the Armani logo shows everyone that this is a man who knows how to dress. Let's face it, most dads love being pampered by their loved ones, so a real treat for yours on Father's Day might involve the two of you spending some top-notch quality time together. One great option for letting his relax and enjoy your company is to serve up a three-course meal with all his favourite flavours included. Think about what kind of foods he really likes - if Italian is his food of choice, then create a meal filled with all the pasta-pizza-pesto-Parmigiano-Reggiano goodness you can manage. Make sure you've got his tipple of choice available as well, and go the whole nine yards with the music and table decoration. Give him the five-star restaurant experience without even having to leave the house, and it will certainly be a Father's Day to remember! Most men develop a real passion for golfing at one point or another in their lives, and many attempt to channel their inner Colin Montgomerie out on the course. If this sounds like your dad, then why not treat him to a game at your local golf course, and offer to be his caddy? If there's a different sport that he prefers, then get him out to the pitch/field/court and enjoy playing that together. This could be a great way of reminding him of the fun you had when you were a child, like the summer days he spent teaching you tennis, rugby, or football - just maybe go easy on him when it comes to tackling! They say you can tell a lot about a man from the kind of watch he wears, so a great option for Father's Day is to pick him out a new watch that will match his personality perfectly. Watches come in such a huge variety of styles, shapes and sizes, but finding one for your dad needn't be too tricky. 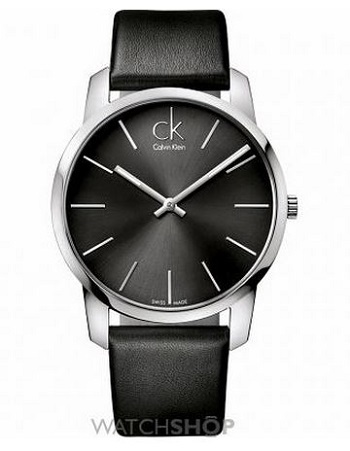 For example, if his kind of style is subtle and classic, yet also very dynamic, something like this Calvin Klein watch will be perfect. The black colouring will help it stand out as a really cool accessory, but also means it will go with pretty much any outfit, while the minimal design of the face stops it from looking overwhelming. It's a stylish little number that will look great whether he's at the office or out with friends. If getting out and about is what he loves, or if there is an as yet unexplored village he wants to explore, then why not hop on your bikes and go for a mini adventure? Going at a leisurely pace, this will give you an opportunity to take in some gorgeous scenery together, as well as the chance to have a catch up. To make a real event of it, take a picnic with you and find a nice spot for lunch. You might happen upon a really peaceful and idyllic place, or enjoy some really great photo opportunities that you didn't know existed. Just keep your fingers crossed for nice weather! You'd struggle to find a dad who doesn't enjoy a cup of tea or coffee, whether it's an after-dinner treat or the boost he relies on first thing in the morning. Whichever approach your dad takes, it might be time to broaden his horizons with a new flavour blend! We don't need to point out how many different flavours of both tea and coffee there are. Whatever his tastes, there is bound to be one that he will love. Whether it's a minty tea or a gingerbread coffee, introduce him to a new blend and it might just become his new favourite thing. If he's got a patch of garden, however big or small, chances are he enjoys looking after it and making it look perfect. 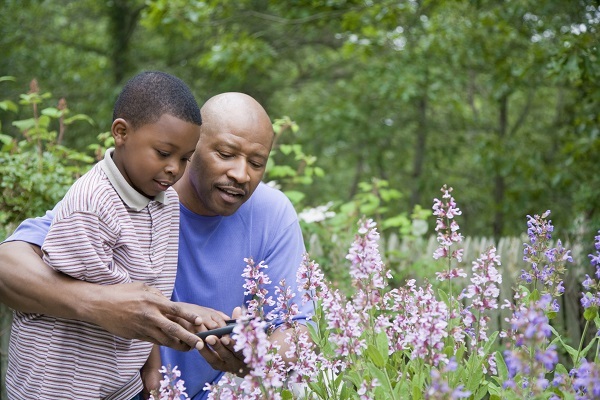 To show him how much you care, you could offer to spend an hour or two out in the garden with him. This is also a lovely way to get all the generations of the family involved, so if he's got any grandchildren who can help, get them to join in with the fun! Get on your gloves and sensible shoes and grab the trowel from the shed, and he is bound to appreciate your help. Whether you're mowing the lawn or planting some gorgeous new plants, there are plenty of ways to be useful in making the garden his own little pocket of paradise. 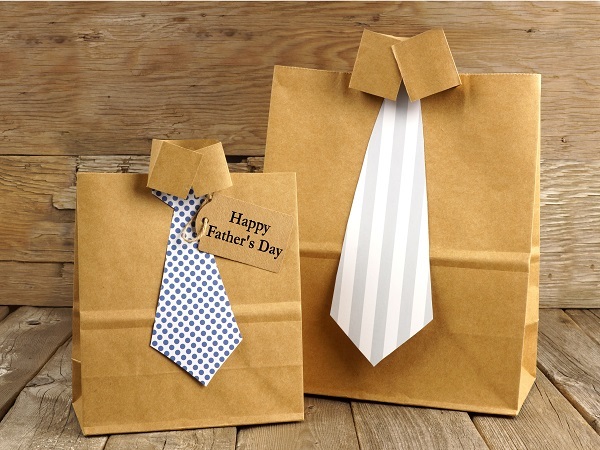 Giving your dad a really memorable Father's Day needn't be tricky or even expensive. With a bit of thought and attention to detail, you can help him have a really special day this June 21st.